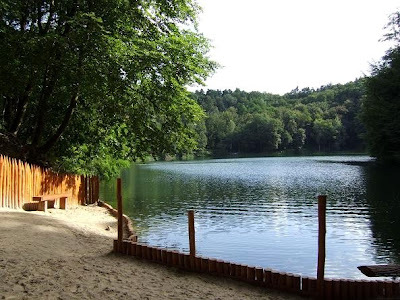 The Emerald Lake in Szczecin is located in the Beech Woods in the district Zdroje. 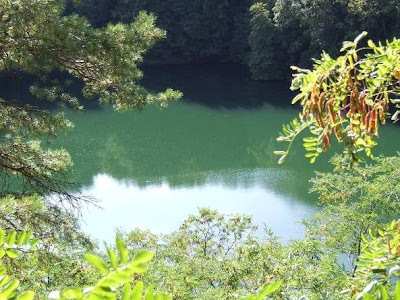 On this place used to be a chalk mine which filled with water in 1925. 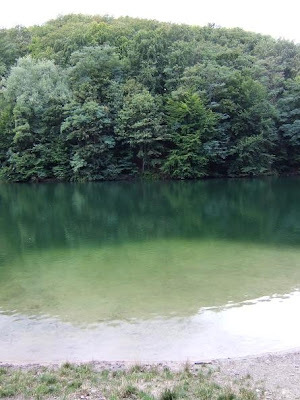 Its emerald colour comes from the calcium carbonate in the water. 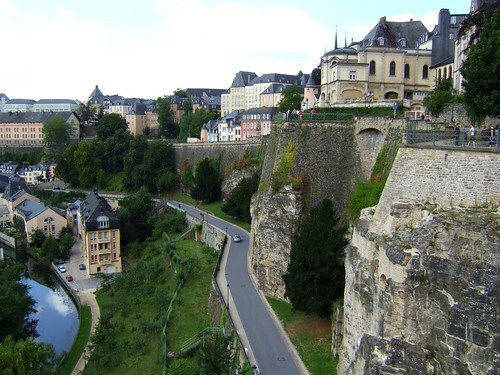 The lake has a surface of 4,5 ha and a depth of 20 m.
Luxembourg City is the capital of the Grand Duchy of Luxembourg. 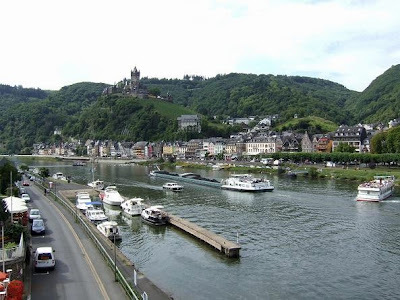 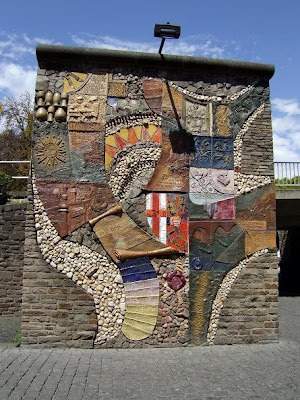 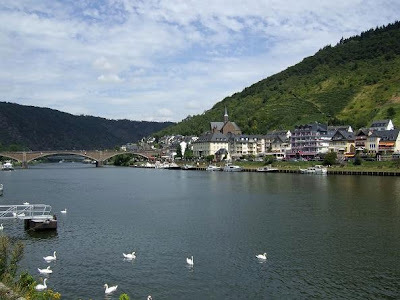 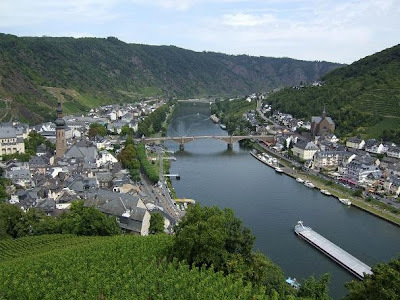 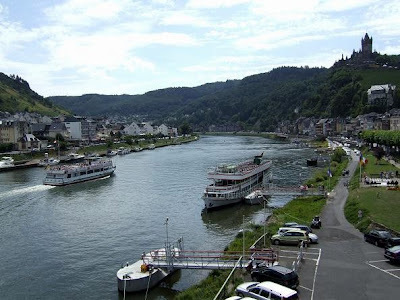 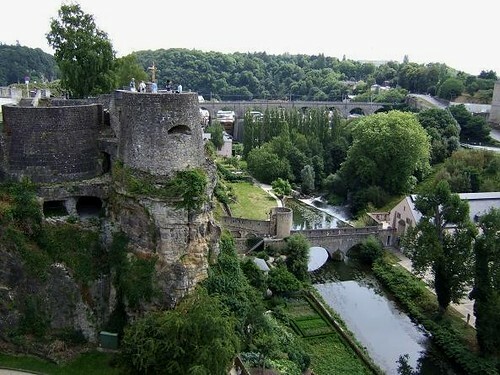 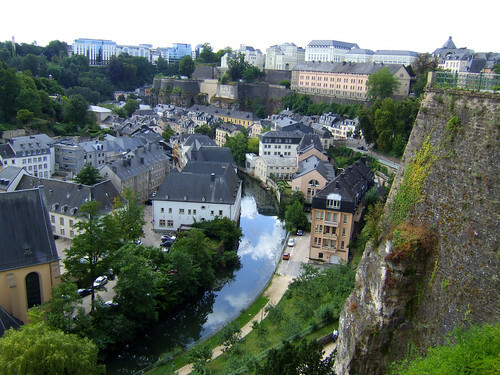 It is located in southern Luxembourg at the confluence of the Alzette and Pétrusse rivers. 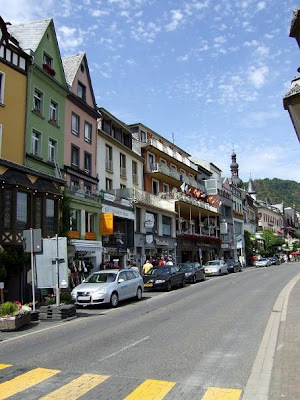 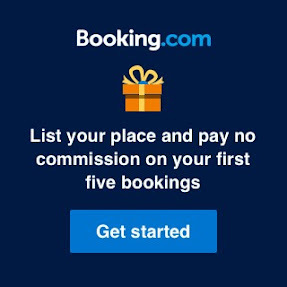 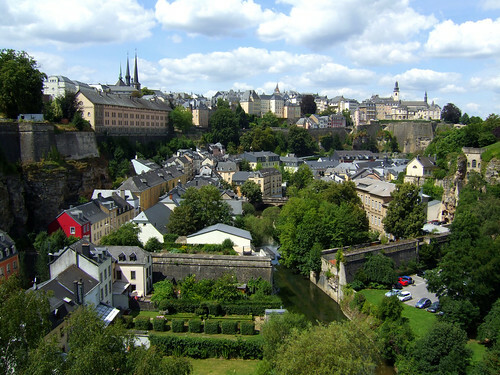 It is one of the wealthiest cities in the world and has several institutions of the European Union. 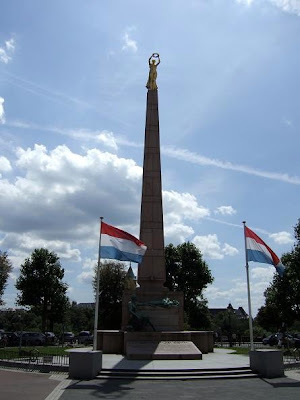 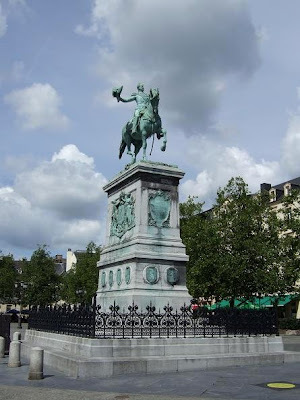 Statue of Guillame II, King of the Netherlands, Grand Duke of Luxembourg and Duke of Limburg from 1849 until 1840. 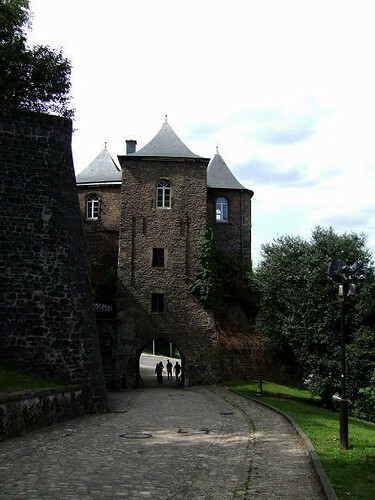 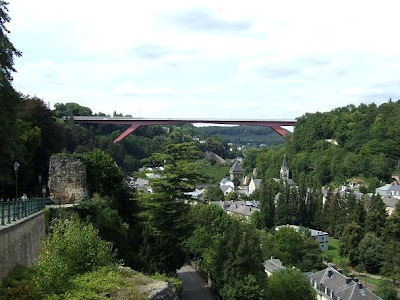 View of the Red Bridge, it connects Luxembourg`s old town centre with the Kirchsberg Plateau. 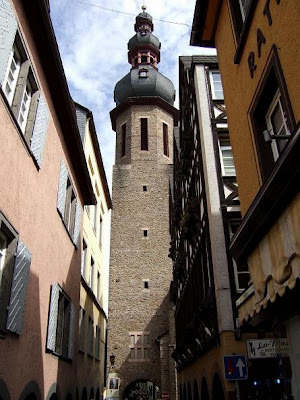 A Spanish Turret, with a view of the Pfaffenthal. 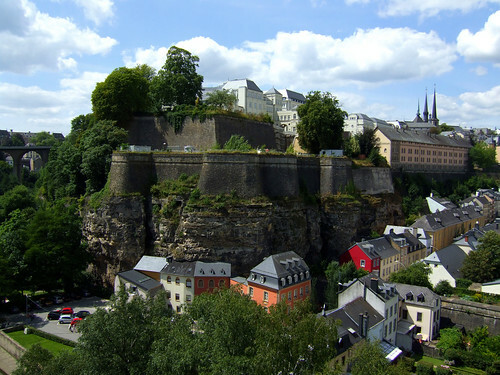 Named after Baron Thüngen, an Austrian commander, Fort Thüngen was built in 1732 as part of the city defences. 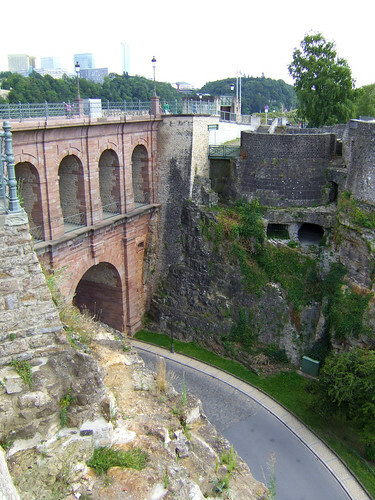 The fort was partly dismantled after the Treaty of London in 1867. 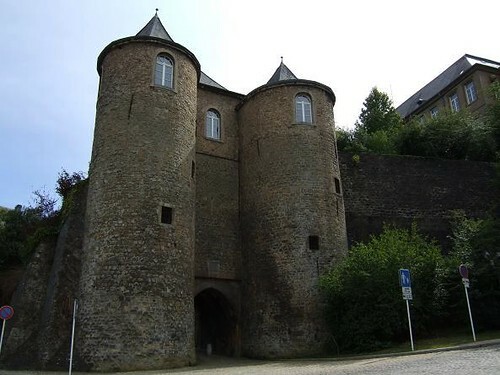 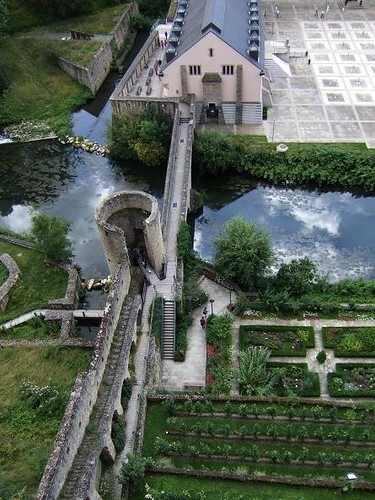 Only the three round towers, also known as the Three Acorns and the foundation walls remained. 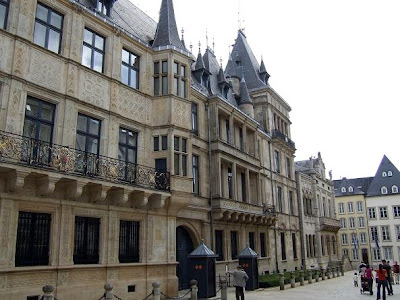 Another interesting attraction that is situated at Fort Thüngen is the Mudam, the Museum of Modern Art Grand-Duc Jean. 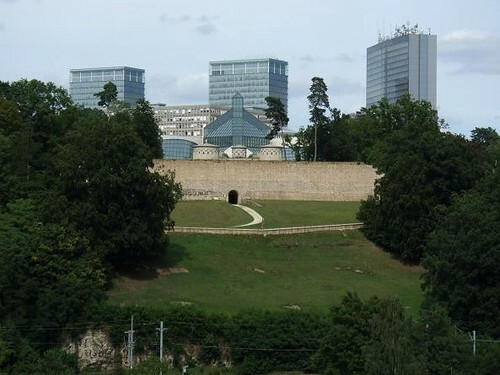 It was designed by Sino-Americain architect Ieoh Ming Pei and was inaugurated on 1 July 2006 by Grand Duke Jean. 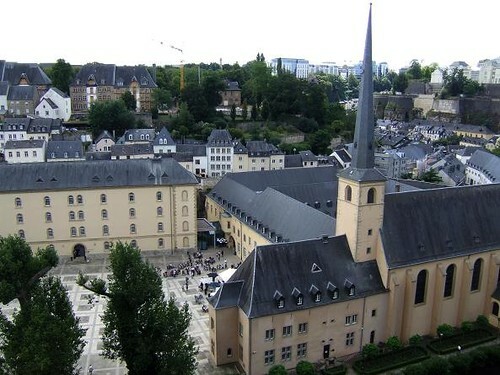 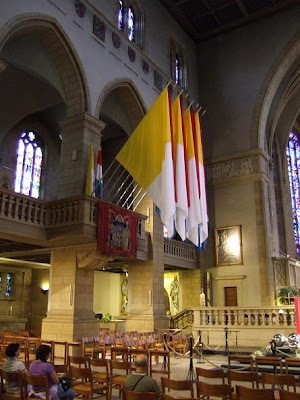 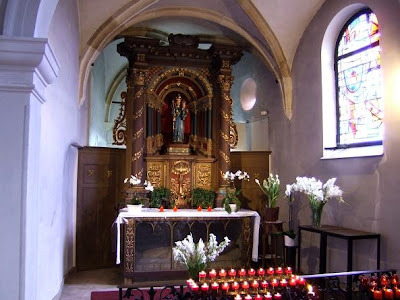 The Notre-Dame Cathedral in Luxembourg City was originally a Jesuit Church. 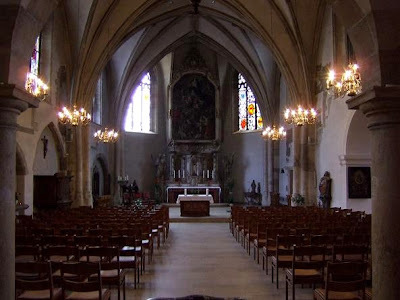 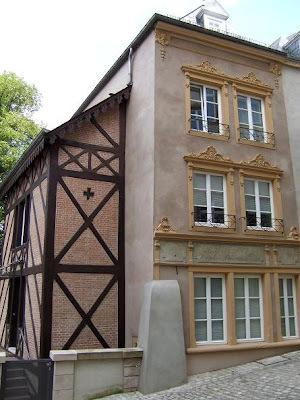 It was constructed between 1613 and 1621 in late Gothic style. 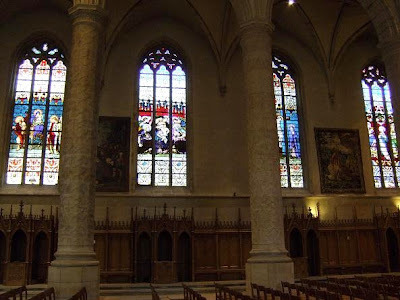 The interior is decorated with wonderful stained glass windows, massive pillars and a beautiful Baroque organ in the back of the cathedral. 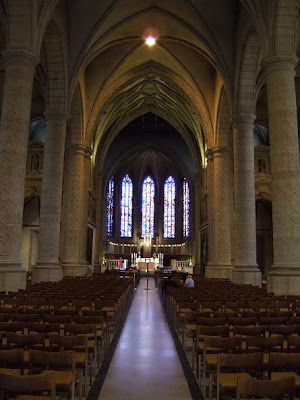 The crypt of the Notre-Dame with twelve columns supporting the church above, contains the burial vaults of the Bishops and the vault of the grand-ducal family. 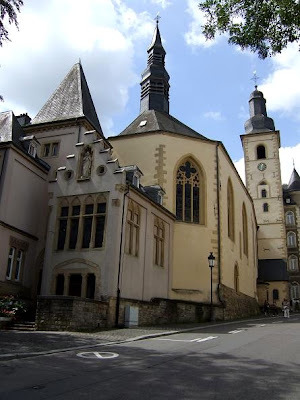 After being a Benedictine Abbey and a prison, Neumünster Abbey has been restored to become a multicultural centre. 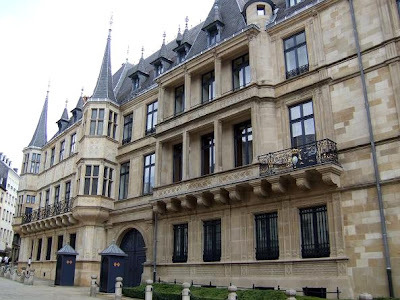 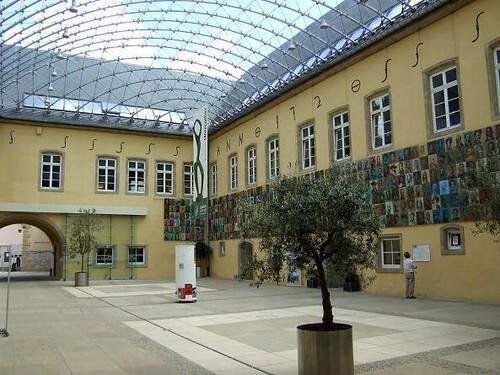 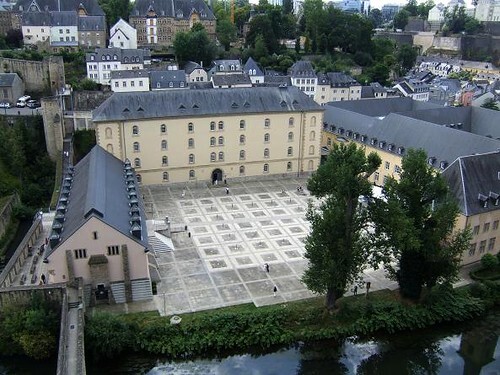 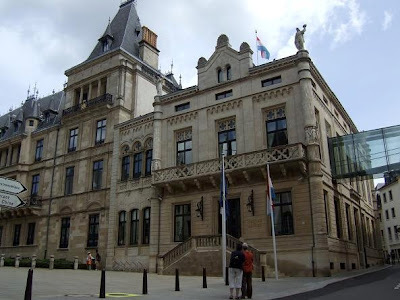 Located in the Grund district of Luxembourg City, the building now hosts concerts, seminars, workshops and exhibitions. 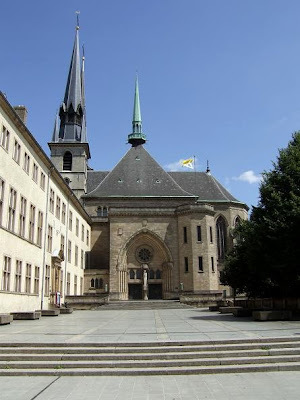 Since 1997, Neumünster Abbey is also the home of the European Institute of Cultural Routes. 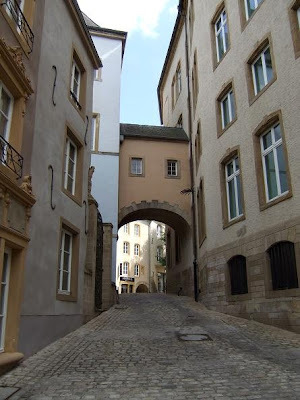 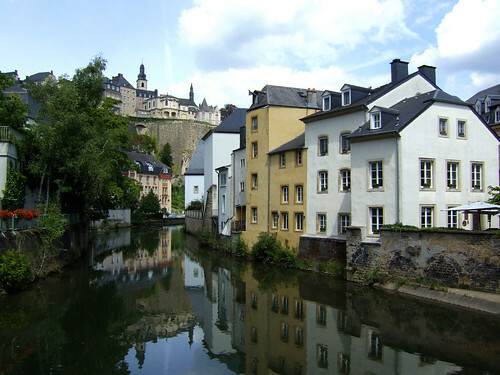 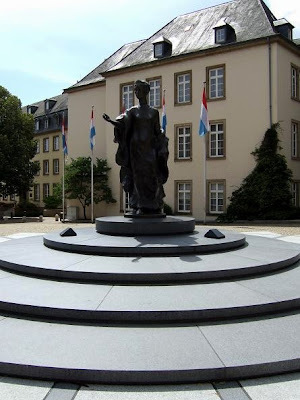 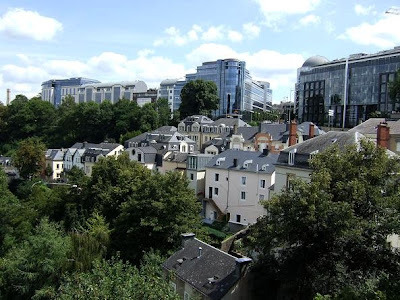 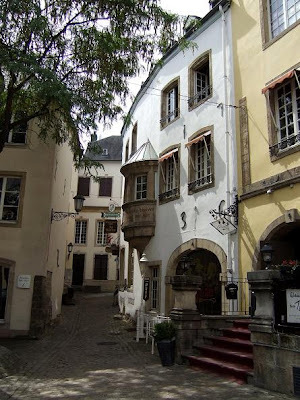 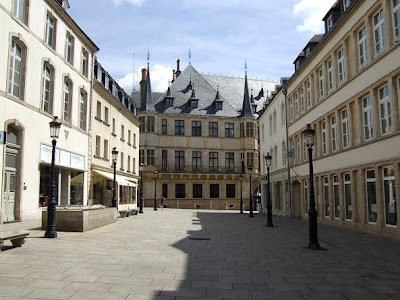 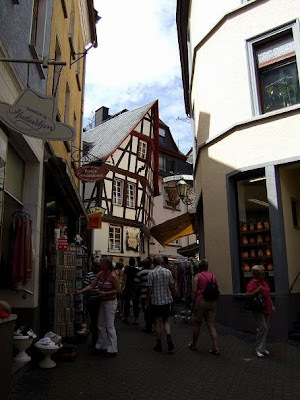 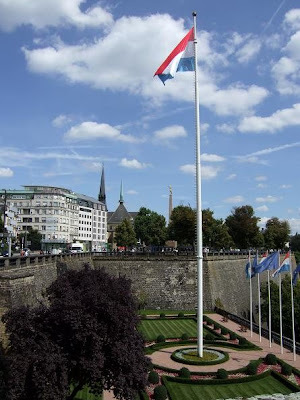 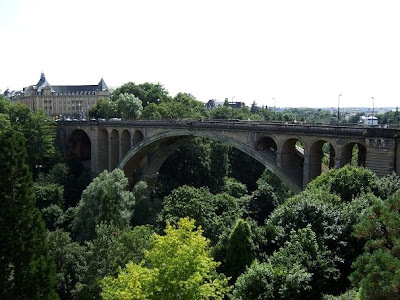 The Grund is one of the oldest parts in the centre of Luxembourg City. 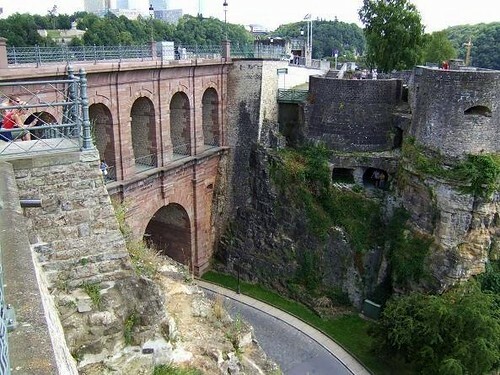 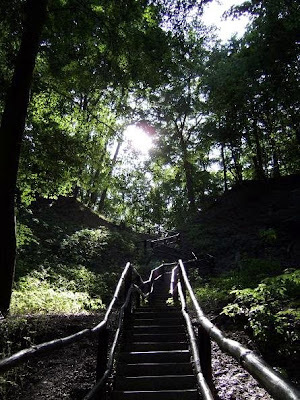 It is located below the city on the banks of the Alzette river. 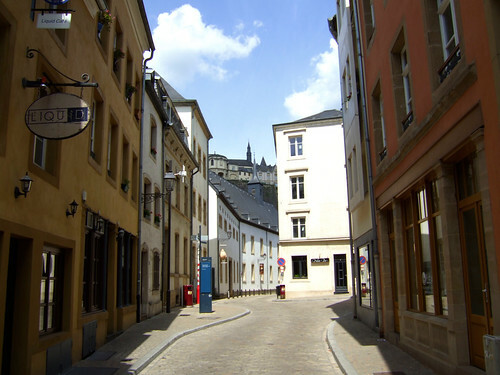 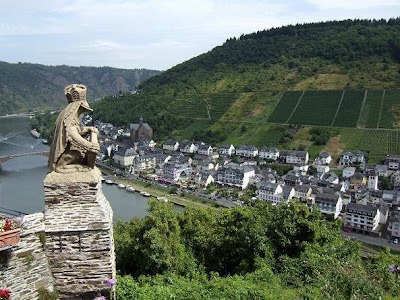 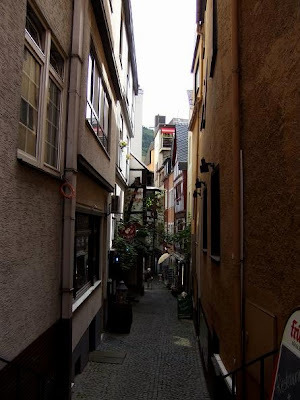 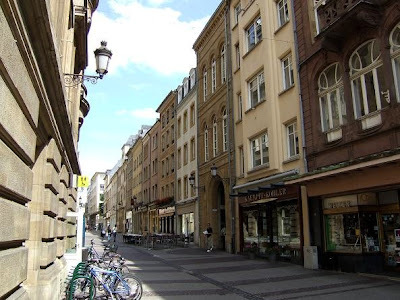 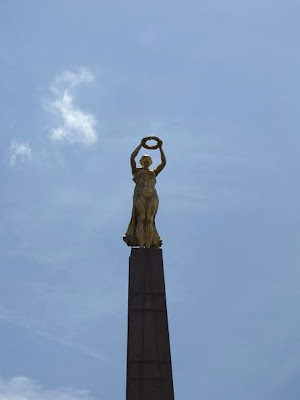 A great way to discover this beautiful quarter is by taking the Wenzel walking tour that will also bring you to other beautiful places in the city. 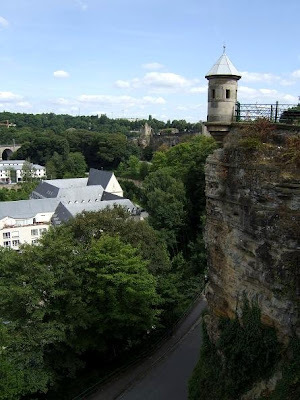 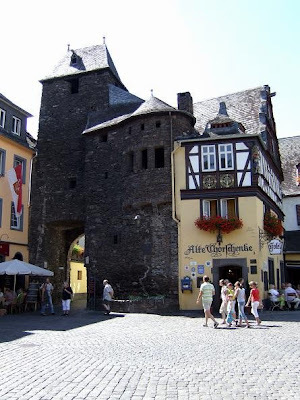 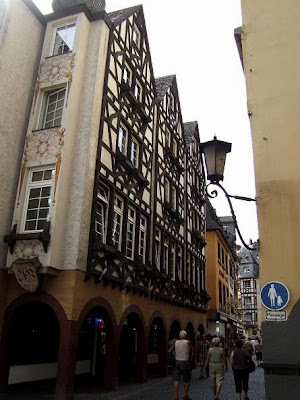 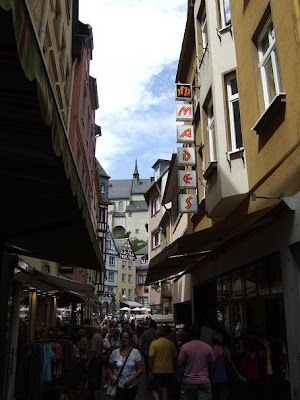 The Grund is popular for its nightlife and was added to the Unesco World Heritage list.